Greece’s economy has been on my mind lately. Frequently, I think about a bus driver that took us around Athens on our last trip there. After a glorious tour around the city, our driver thanked us for visiting. He choked up slightly as he told us how rough it had been and how tourism was helping keep Greeks employed. I can’t express how saddened I was to think about this reality. 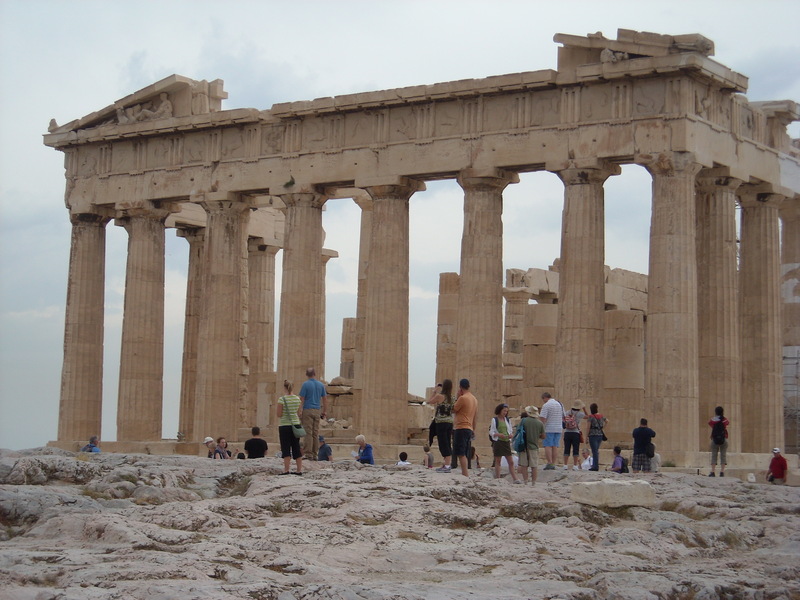 We credit the Greeks with so much–amazing art and architecture, democracy, philosophy, history, and so much more. To think of this inspiring nation suffering brought me near to tears. 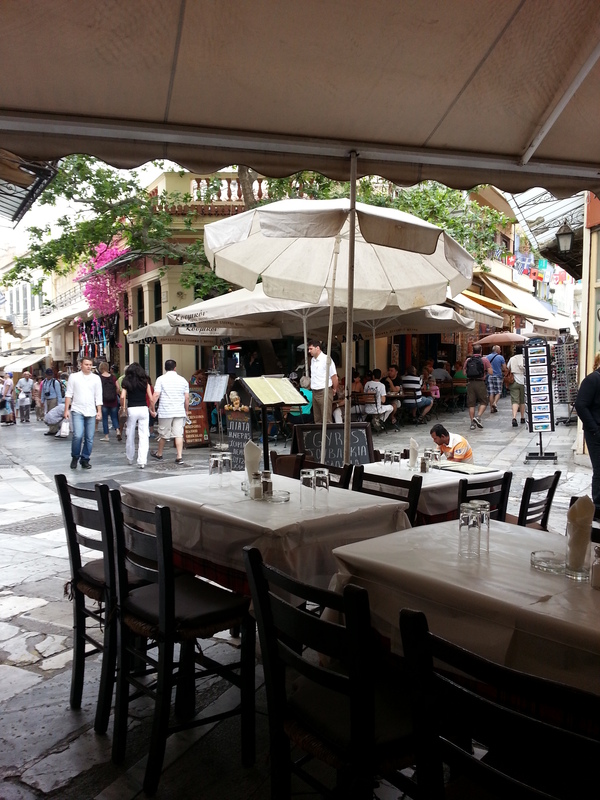 If you haven’t had the chance to visit Athens (or any part of Greece), I would encourage you to do so. There are plenty of things to do in Athens, but I would start with a visit to the Acropolis–a city on a hill that is inaccessible (thereby defensible) from all sides except the west where the entrance is located. On the Acropolis are the remains of several buildings of historical and architectural importance, most notably the Parthenon. As we neared the base of the hill leading to the Acropolis, I couldn’t believe how much greenery there was. When you look at pictures, they always just show the Parthenon with rocks everywhere so I wasn’t expecting trees lining the path up the mountain. I was also wondering how I was going to make it up a mountain:) I’m not a fan of working out and frequently joke that gravy runs through my veins so I was concerned that I might get winded. The path leading up was at a gentle slope–not difficult at all. In fact, I didn’t even realize how far up we were until I looked back and realized that we were only halfway and already Athens was unveiling itself to us. After a leisurely walk along the tree-lined path (littered with random dogs), we finally approached the steps to the Propylaea—the monumental gateway to the Acropolis and the majestic monuments on the hill. 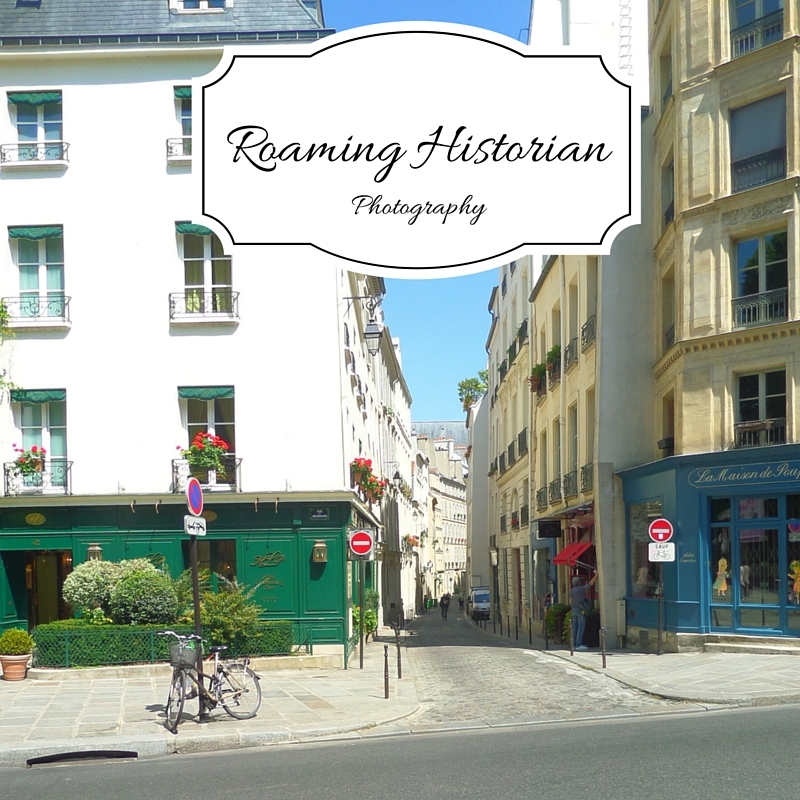 Doing the tourist-shuffle up the stairs, I wanted desperately to break free from the crowd and have the place to explore on my own. On the right is a temple to Nike built in the 5th century BC to commemorate Greek victories over the Persians. 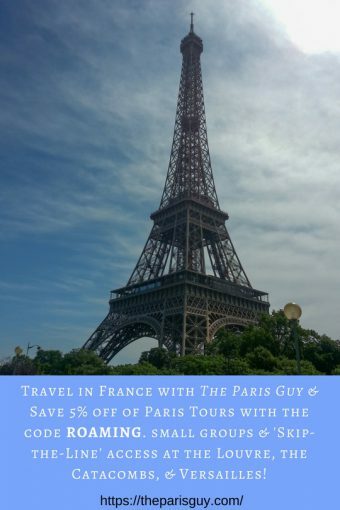 Travel tip: this is one place where it would behoove the history buff to buy a detailed guidebook—there are a lot of important ruins that can easily be overlooked without one. 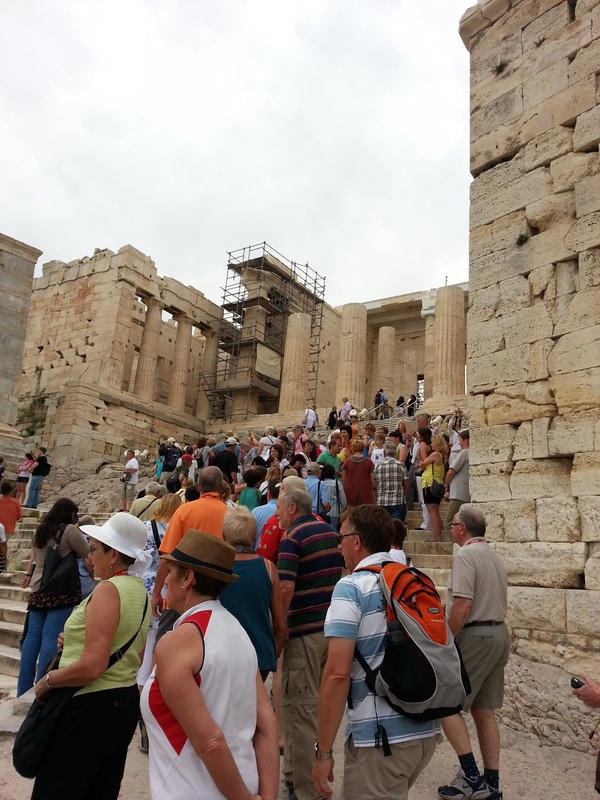 Finally, we entered the gate and all of the Acropolis spanned before us. 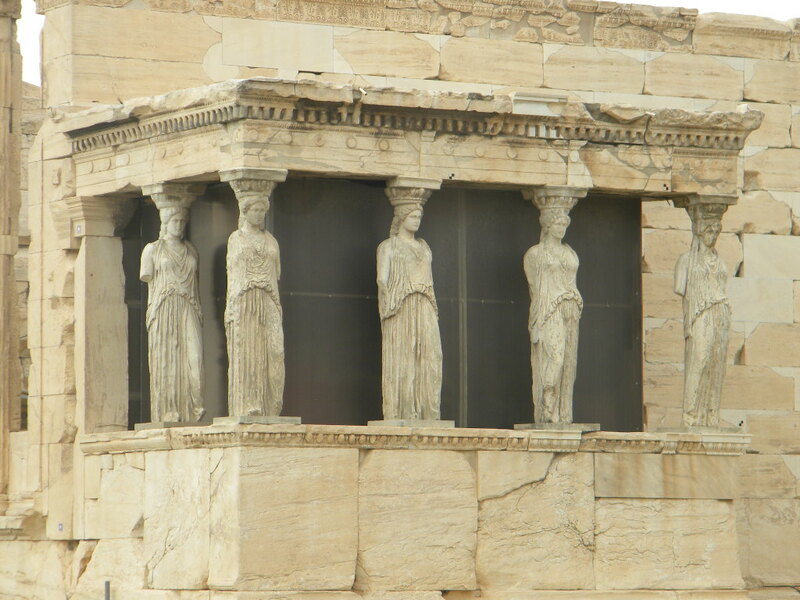 On the north side of the Acropolis is the Erechtheion. 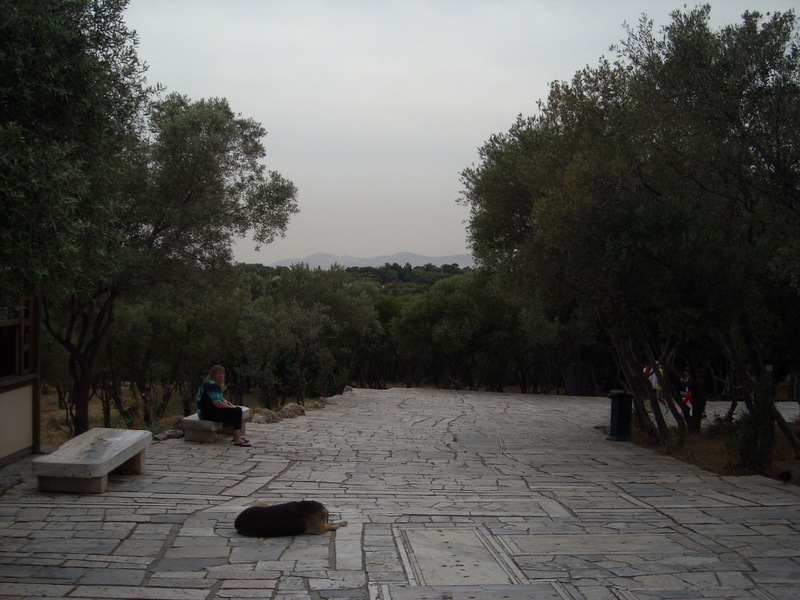 In this area were found the most sacred relics of ancient Athens. Part of the Erechtheion (caryatid, column, and part of entablature along with frieze and pedimental sculptures from Parthenon) was removed by Lord Elgin and later sold to the British Museum. The return of the “Elgin Marbles” is still a controversial subject. Remaining on the south side of the structure are six statues of Korai (maidens); these beautiful caryatides show the skill and outstanding craftsmanship of the ancient Greeks. Looming large on the hill is the Parthenon, which stood before us in all its splendor. I was overwhelmed by the moment, knowing that since 438 BC Greeks have stood in the same place. This colossal structure built on the highest part of the Acropolis is one of the most important creations of the Golden Age of Greek history. The Doric columns are constructed of marble and form a rectangular structure with its interior divided into two sections. Greeks worshiped Athena and other gods there and, in the surrounding areas of the Acropolis, they contemplated philosophy, debated democracy, watched plays in the theater, celebrated special days, and enjoyed the culture of their society. I was humbled that I could experience that moment and proud to know that my nation could find its political heritage there. Thousands of miles away from home, I realized that a part of my soul belonged to Athens. Looking down the southern side of the Acropolis, you can see the Theatre of Dionysus (built 6th-4th century BC) where the works of Aeschylus, Sophocles, Euripides, and Aristophanes were first performed. Holding up to 17,000 people, it was also used for public functions and festivals related to the god Dionysus. 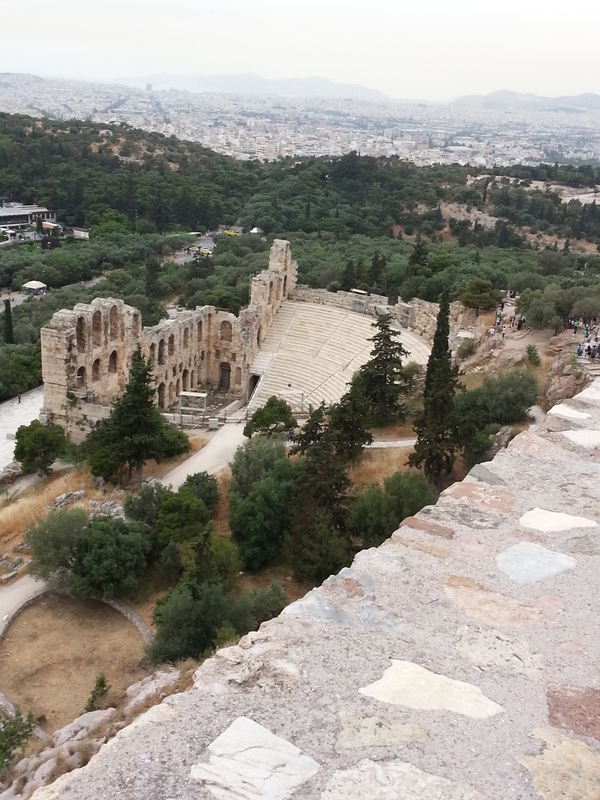 Next to the theatre is a newer theater, the Odeon of Herodes Atticus (built 2nd century AD), which could hold 5000 spectators and was primarily used for music. The Acropolis is by far not the only thing to do in Athens. From the top of the hill you can look at and ponder all of the treasures that surround you. 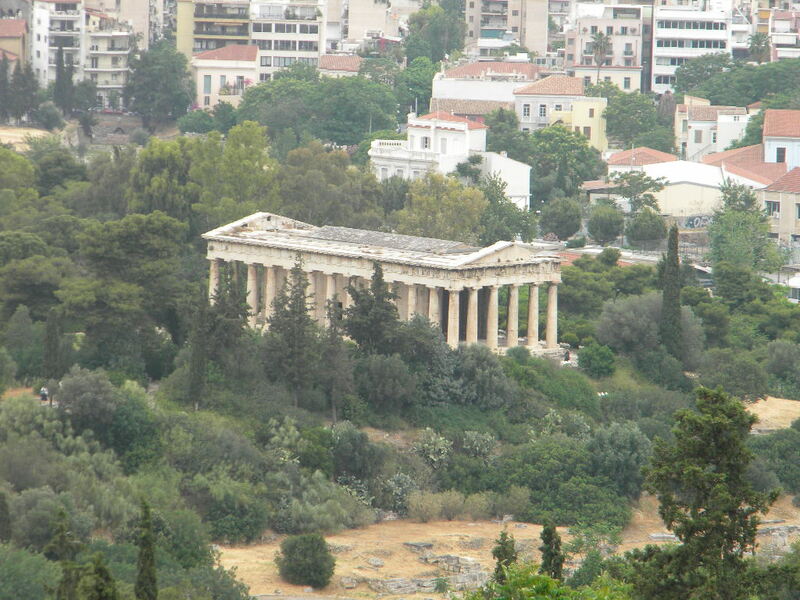 You can get a particularly good view of the Temple of Hephaestus (exceptionally preserved temple), as well as the rest of Athens. 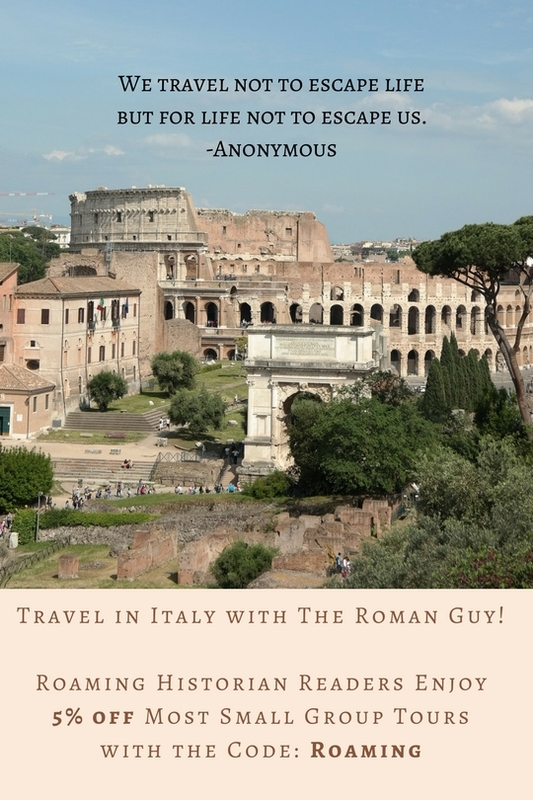 When you are finished, make sure that you don’t miss a trip there, as well as one to the Plaka (shopping and food), the Temple of Zeus, and the Arch of Hadrian. The Acropolis Museum holds some artifacts from the area that shouldn’t be displayed in an open-air setting. Even the metro has archeological remains, but some of the greatest finds can be viewed at the National Archaeological Museum. Have a great time at the Athens Acropolis, as well as all the other sites!